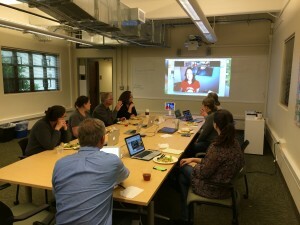 Our CI family of online and blended faculty has grown fast in the last few years. The richness and depth of your digital experience and contributions to our students’ learning are unquantifiable. This recently created community aims to foster conversations, exchanges, and reciprocal learning about challenges, concerns and “aha moments” in our teaching and learning innovations. We aspire to be a community of active learners in the ever-changing world of emerging technologies! We meet monthly to discuss a theme chosen by our community. Faculty are invited to share their work or bring questions for the group related to the chosen theme. 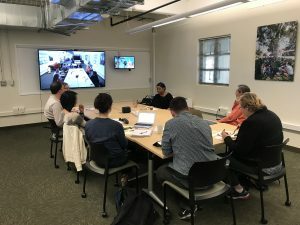 a window to learn about what’s happening beyond CI in emerging technologies and related research/conferences. a relaxed atmosphere & some casual outings. Join us for our monthly gatherings held once a month in the FIT Studio (Solano 1201). If you are not on campus, you can always join us remotely via zoom. We are looking forward to connecting with you! Join the conversation!